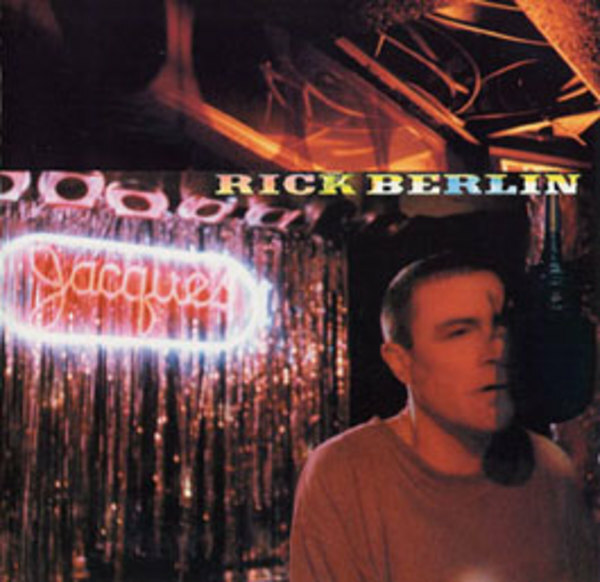 Rick Berlin's residency at Jacques Bar was a Monday night Boston tradition. When Rick sensed it might come to an end I was thrilled to help document five nights and assemble the performances into one seamless performance. His emotional reach and sincerity are rare. A PZM microphone hidden over the pool table provides transitional materials and captures the mood of this late night club. Berlin captures the live performance of material which has made him one of Boston's longest running current attractions, Berlin's solo work sustains his audience with it's honesty, wit, and provocative insights. Popularly regarded for his projects with previous local bands (Orchestra Luna, Berlin Airlift) this marks his first collaboration with a live audience and has been supervised by producer Dan Cantor (Notable Productions). With a series of microphones strategically placed throughout the club (including pool table, bar and showroom), producer Cantor has caught both the immediacy and spontaneity of Berlin's performance, song writing and unique interaction with his audience. Joining Rick onstage for selected accompaniment are Tyson Montgomery Leonard (electric violin), Chet Cahill (accordion), Chris Mehl (harmonica), Marnie Given (violin), Jonah Sacks (cello) and Dan Cantor (harp)." Co-Produced and engineered by Notable Productions. Harmonica and percussion provided by Dan Cantor.